This iMac has the same Tapered Edge design as it's predecessor but with Intel's more advanced Fifth Generation processor and architecture. Combine the newer Core i5 processor, faster WiFi and graphics, for a great performance improvement. You will find that this iMac will have no problems running demanding applications such as design suites! 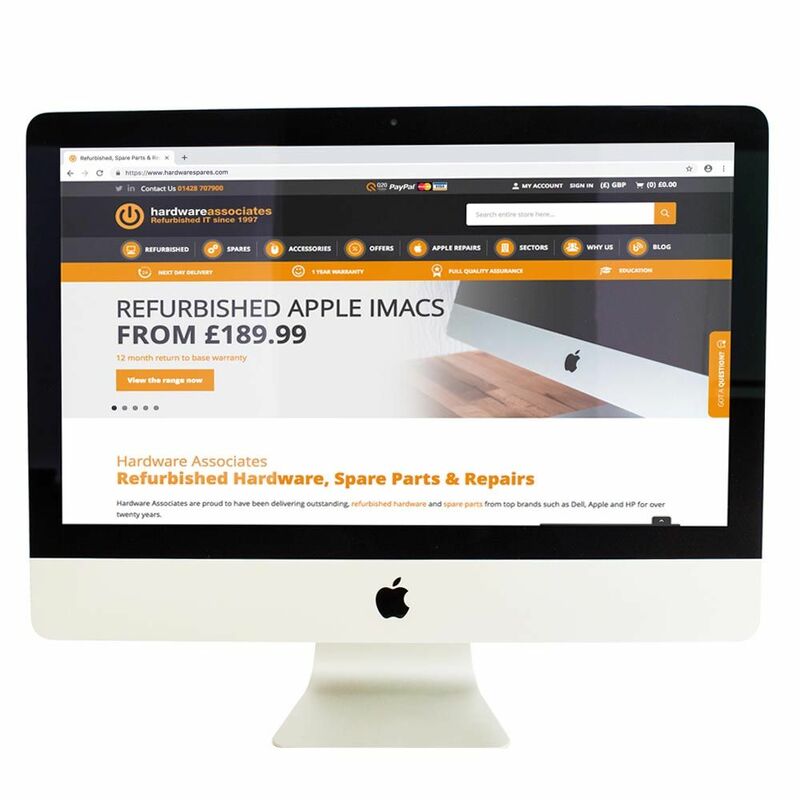 The Apple iMac 21.5" Core i5 2.8GHz Late 2015 is a good spec, high quality iMac with a sleek and stylish design featuring a razor-edge 5mm Tapered Edge. Is the Apple iMac 21.5" i5 2015 right for you? The Intel Core i5-5575R is a Broadwell, Quad Core 2.8GHz processor and was launched in 2015. The newer 14nm manufacturing process allows for a more powerful processor that runs cooler.